Is a wolf spider bite venomous and dangerous? How does it look like? Redness and marks of two fangs may be the symptoms that a wolf spider has bitten you. But what are its side effects? How can you treat it fast? Here are treatment options and pictures to help in identification. What is a wolf spider? Is a wolf spider poisonous? Can it kill you? The wolf spider is among most common spider species in the United States, with scientists being able to identify more than a hundred and twenty-five species in the country within the last few years. 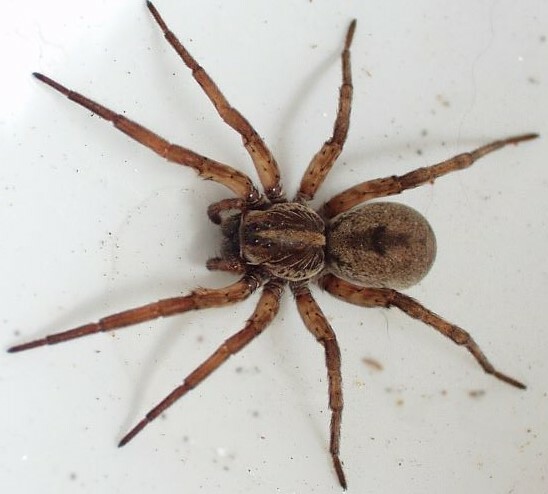 Even though it is deemed to have a large size (measuring as long as two inches), which has been known to cause fear among many individuals, the wolf spider bite is not as dangerous as many assume. But, there are locations in the world where the wolf spider is deemed to be among the top ten dangerous spider species. Wolf spiders are good hunters with a very good eye-sight. In most cases, they do not spin webs, and if they do, the webs are temporary. Most of these spiders live alone and are therefore less social insects. Though they can hunt excellently, sometimes they prey on other spiders’ kills. But can a wolf spider bite and kill you? Is it venomous? Let’s look at the pictures, identification and symptoms of their poison. Also known as the ground spider, it has also been referred to as the hunting spider because it mainly hunts on ground surfaces. Compared to other spiders, this particular species does not build webs in a bid to capture its prey: but it instead goes out at night to hunt. Do they bite humans? YES. When it is disturbed, it often retreats, moving at a very fast pace. In some cases, it may bite as a defense mechanism. Its bite is not considered to be deadly, but, it can be quite painful. There are people who could be allergic to its bite, and it is therefore recommended that you seek immediate medical treatment if a wolf spider bites you. NO. A wolf spider cannot kill you if you get bitten unless you are allergic to it. Unless you collect the wolf spider, it is very difficult for it to bite you. Otherwise, the appearance of the bite is very similar to those made by other insects, bugs and spiders. The bite by itself is not dangerous unless a person is allergic to its venom. As such, it should not cause any grim side effects. The wolf spider is venomous, but it is not deemed to be fatal. 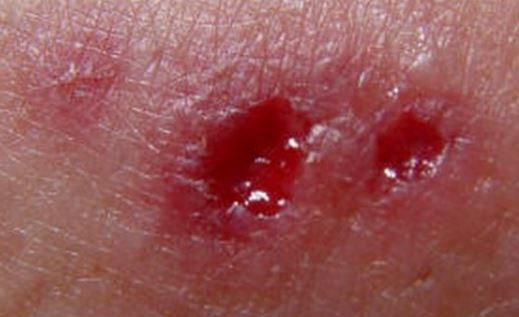 Having been bitten, the typical reaction will include pain, itchiness, and redness. When identifying a wolf spider bite, look for these three symptoms. Additionally, you should note that the pain can last for as long as ten days, which will be accompanied by swelling in the affected region. Your lymph glands will also become swollen. 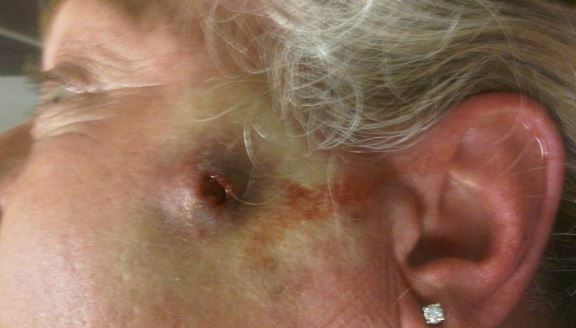 In other cases, the skin surrounding the bite area may also begin to darken. In a severe case, the bite may become infected, which could lead to the development of new complications as well as side effects. To ensure that this will not happen, proper care will be required, and if necessary, the right treatment should be sought. You can recognize a wolf spider by the eight eyes that are arranged on its head in three neat rows. You need to look at the pictures to observe all the eyes carefully. Its bite, on the other hand, is accompanied by two reddish looking pin pricks. See the wolf spider bite pictures below. In case you are bitten by a wolf spider, it is recommended that you collect it, so that you can show the spider in question to the medical personnel for identification purposes. They need to see the spider for them to recommend the right medication for you. The Carolina wolf spider bite is the largest bite made by the Carolina wolf spider, which is also called Hogna carolinensis. The female Carolina wolf spider is about twenty-five millimeters, while the male is about nineteen millimeters in length. Spiders belonging to this particular species tend to live in burrows that they have dug. Given that their abdomens a cephalothorax are solid black in color, and that their eyes are large, which reflect at night, many spider collectors tend to hunt them at night using flashlights. The Arizona wolf spider is hairy all over its body, is very swift, and its size is close to that of a tarantula. Like other wolf spiders, it can run down or ambush its prey. Its prey includes roaches, earwigs, ants, beetles, crickets, and grasshoppers. Australian wolf spiders are very common and can be found in gardens and lawns. They tend to be robust, and very active hunters, which reside in burrows or leaf litter. They can be identified by checking for scrolls like patterns in their abdomens, and radiating lines in their bodies. What happens if a wolf spider bites you? In the affected area, you may notice the following side effects. Another symptom to look out for will be the presence of a red bump, accompanied by inflammation. You can apply a wet cloth or an ice pack in the area with the bite mark. The coldness present in the cloth or ice pack helps in ensuring that the venom will not spread to nearby areas, as well as reducing inflammation. Wash the spider bite wound using warm water and antibacterial soap. Make sure that the area is clean at all times to prevent an infection. You can purchase antihistamines to help with the swelling, acetaminophen for the pain, and aspirin for the swelling as well. These drugs are available at the local pharmacy and can be purchased over the counter. In case the wound becomes severe or begins spreading after seven days have elapsed since the bite, you will need to visit a doctor, as you may have misidentified the spider. At most, the pain and swelling should last for around ten days. But, your wound could become uncomfortable with the skin in the surrounding area becoming black. In very rare cases, you could become allergic to the venom, which means that you would end up experiencing symptoms like nausea, itchiness, and rapid pulse. If this happens, make sure you visit your physician immediately.